Sensor technology and real-time monitoring of the environment is increasing in popularity. Companies are trying to find smart ways to integrate this technology into their existing business processes. Spotzi is continuously working together with companies to gain more insights in how sensor technology can make business processes more efficient. One of these companies is BAM Infra. One of the biggest construction companies in the Netherlands. 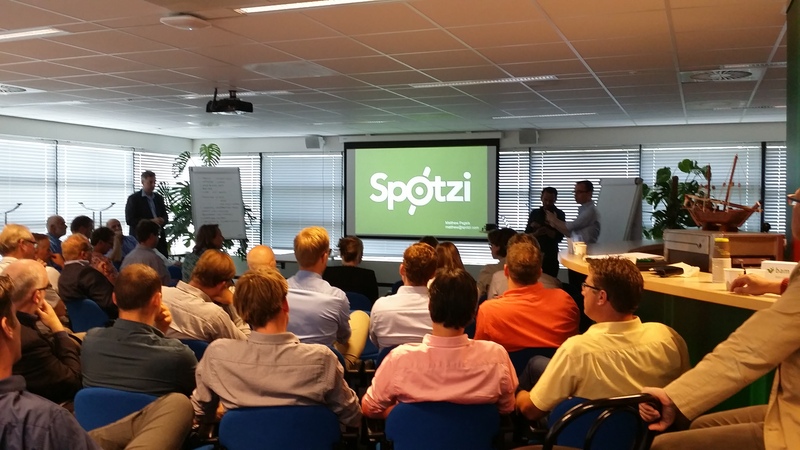 Lately, Spotzi presented their sensor technology at BAM Infra, where we discussed the possibilities of sensor technology at construction sites. This led to some interesting insights and new perspectives. During this interactive presentation, Spotzi and BAM Infra discussed the application of sensor technology at construction sites with BAM experts. A discussion that led to some interesting perspectives on how sensor technology can increase the efficiency of existing business procedures at BAM Infra. Especially the monitoring with temperature sensors and noise (dB) level meters at (busy) construction projects can avoid a lot of complaints at an early stage. Like noise complaints of residents, but also the pouring of concrete at certain temperatures. Spotzi and the BAM were very pleased with the outcomes of this interactive presentation and we, Spotzi. Sensor technology definitely shows great promise for an Internet of Things future. Do want to know more about the benefits of sensor technology for your business? Please contact us and we are happy to discuss the possibilities of sensor technology with you. Building a mapping platform for dummies	Is open data really that open?